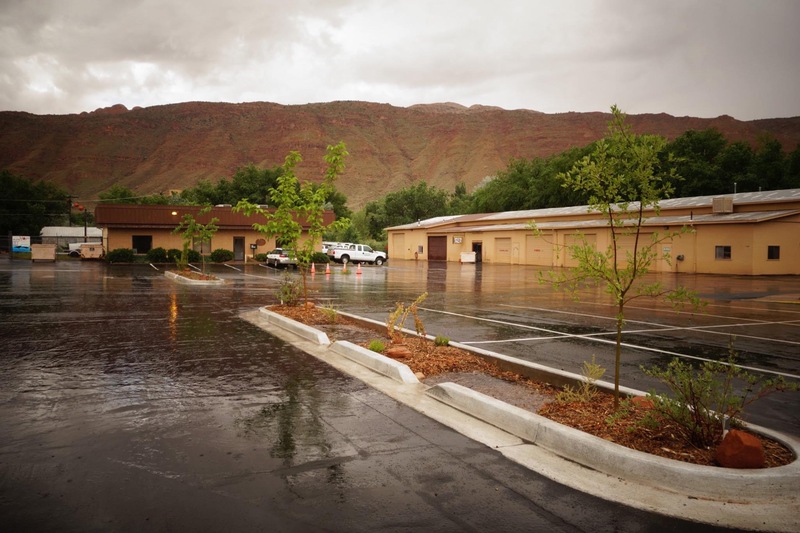 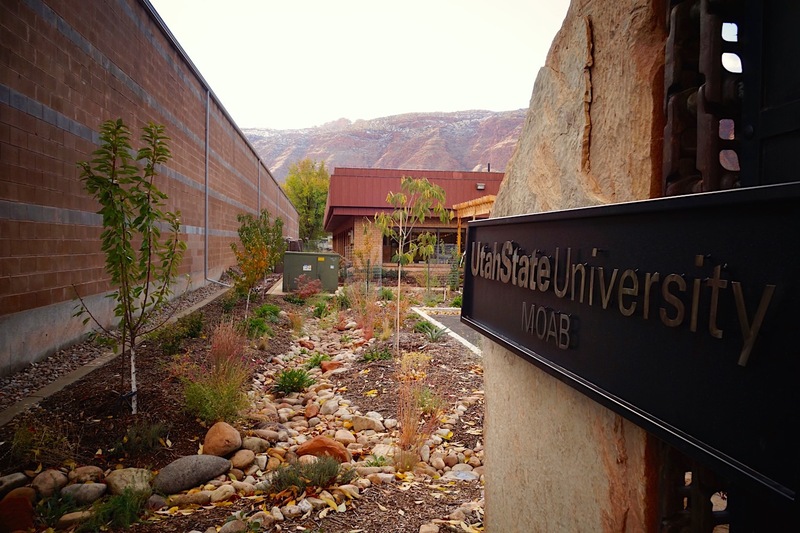 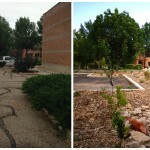 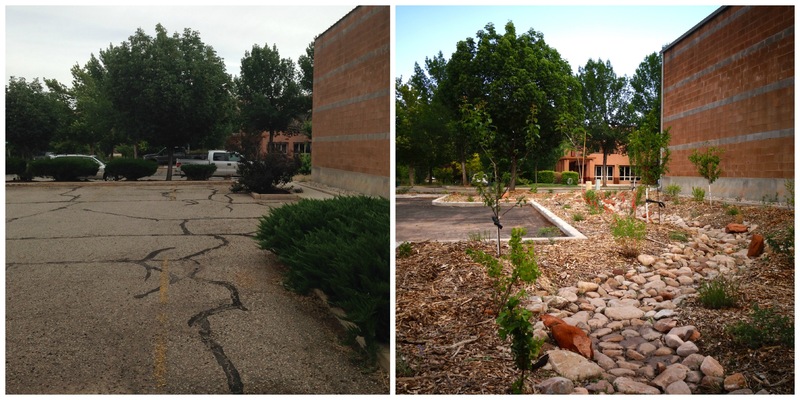 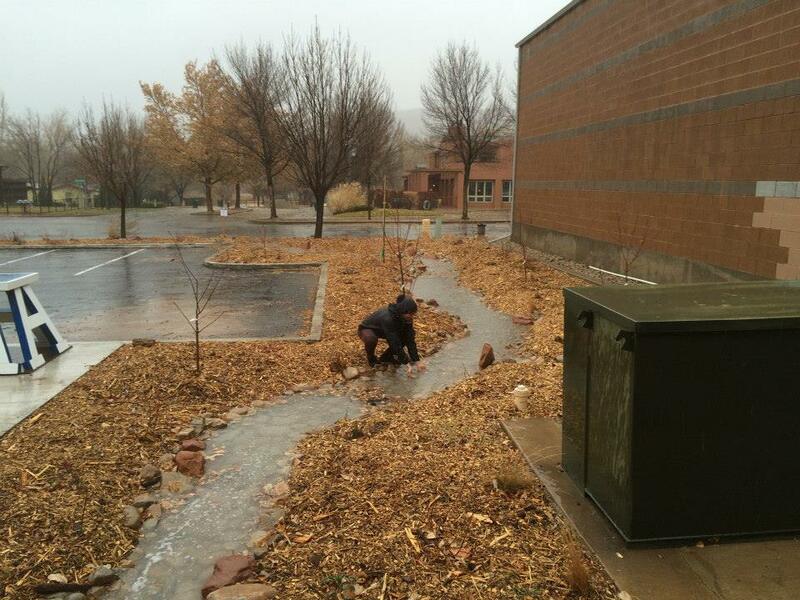 Utah State University’s Moab campus was a sea of asphalt in a Colorado Plateau desert. 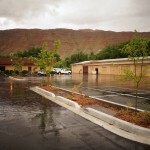 Scant rainfall hit unreceptive surfaces. 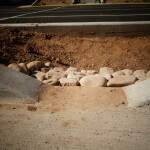 The more plentiful sun shone on the same surfaces to raise the air temperature. 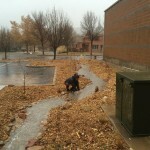 Pollinators were few and far between. 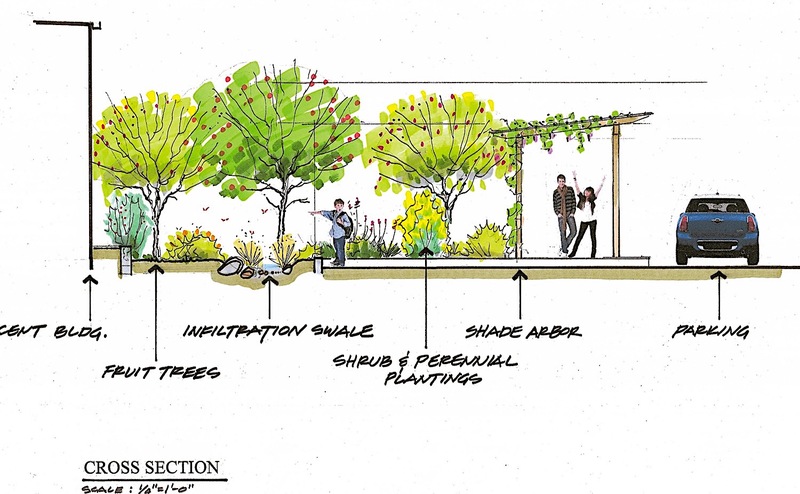 Shade and soil, difficult to find. 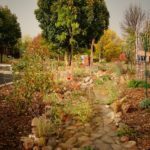 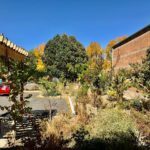 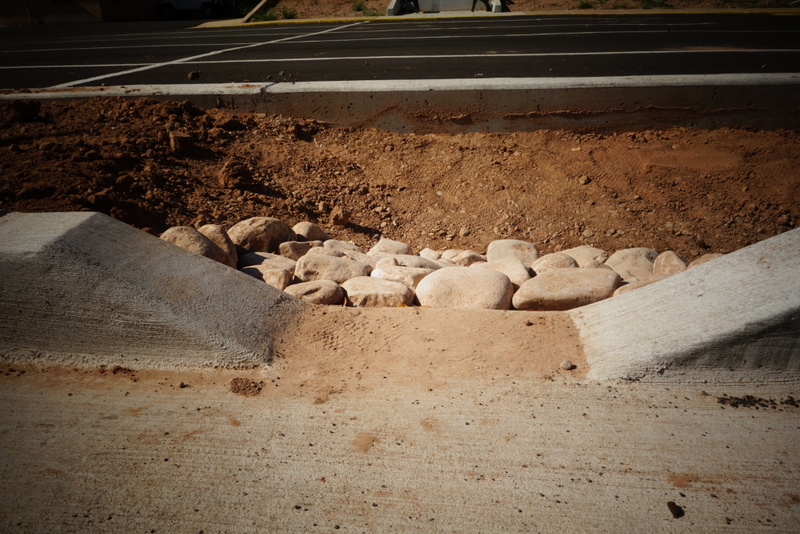 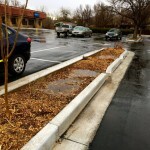 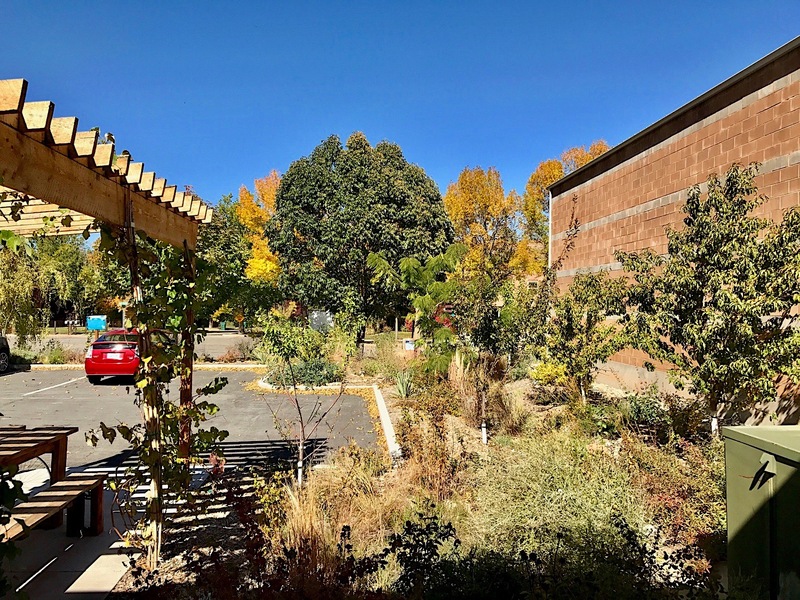 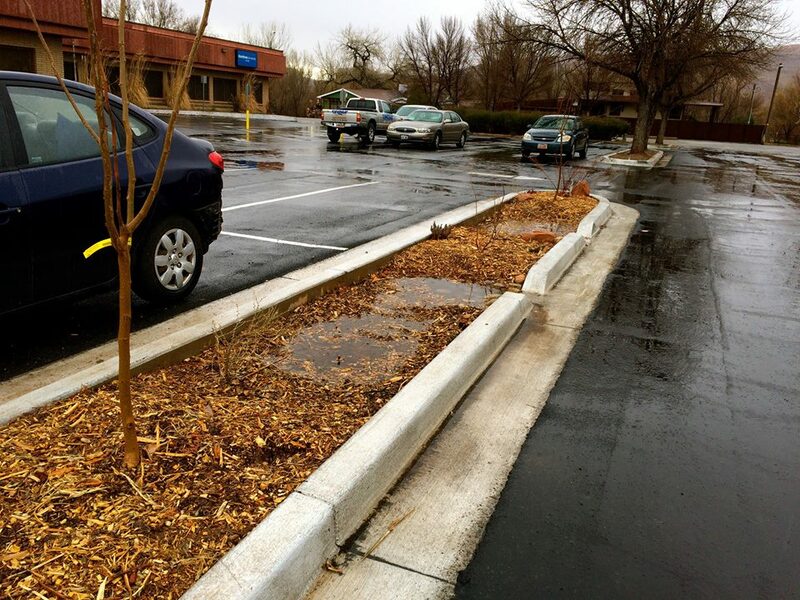 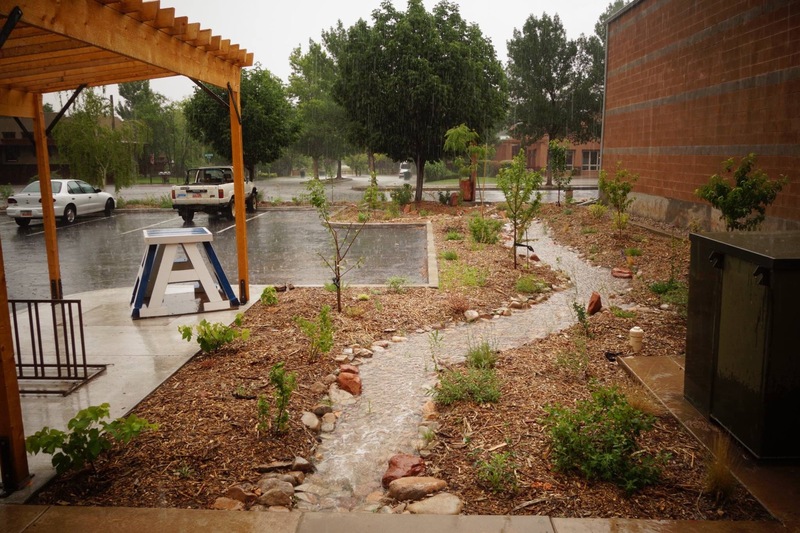 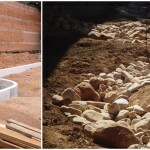 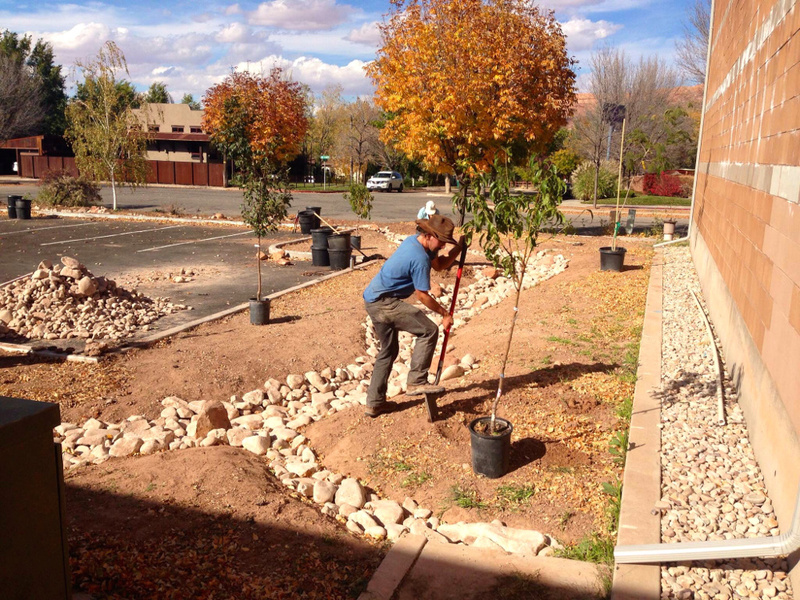 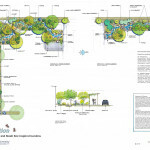 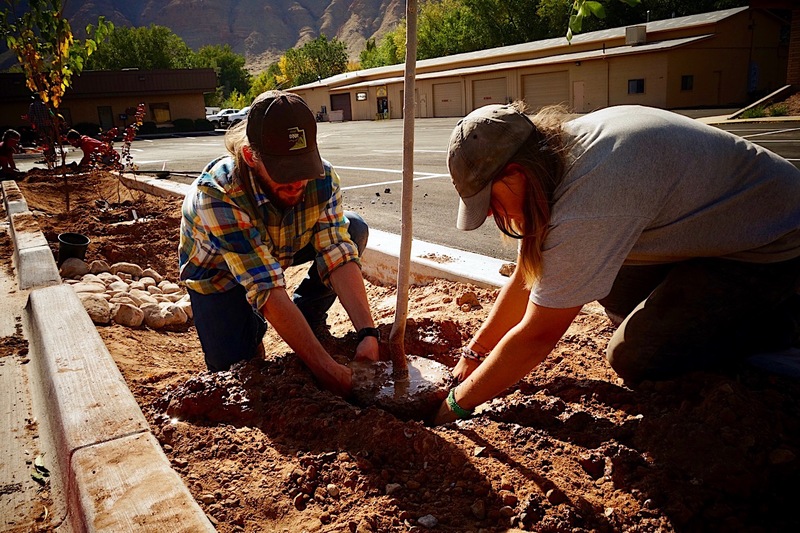 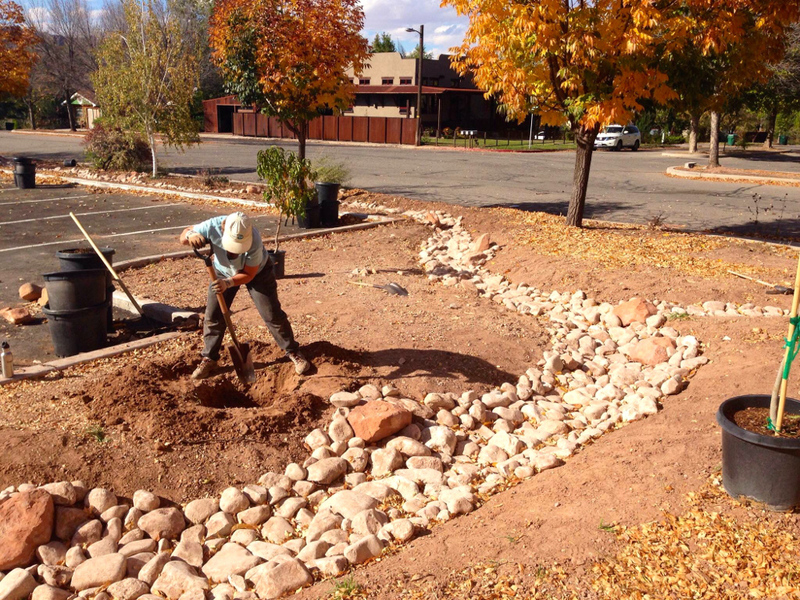 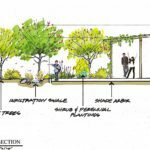 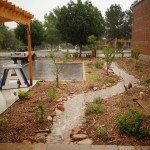 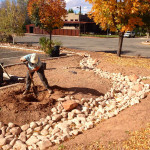 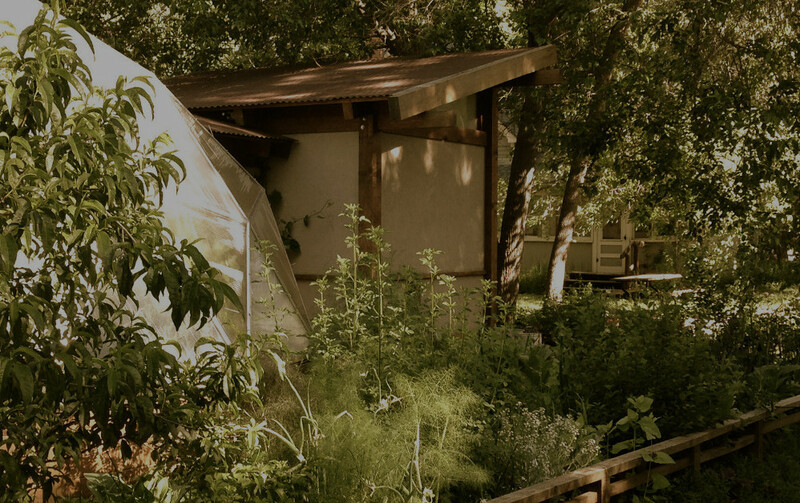 As the pilot site of Moab Bee Inspired Gardens, the desire was to transform that urban desert landscape into a lush, productive, micro-riparian area for the benefit of the whole ecological community. 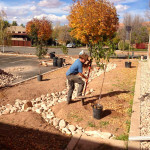 Real Earth Design set in motion a process where the asphalt caliche was broken, rainwater soaked back into the soil, pollinators found habitats, and people found a place to learn how to repair the desert landscape with innovative techniques of water-harvesting, food production, and ethnobotany. 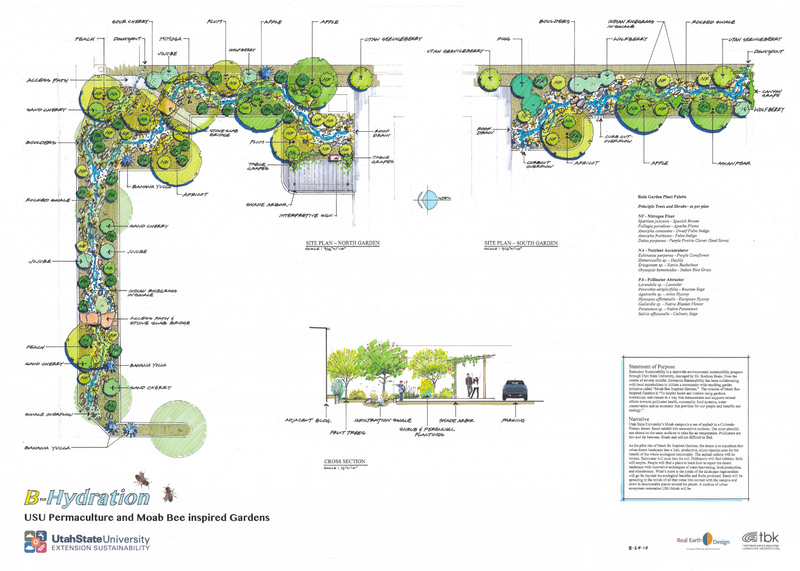 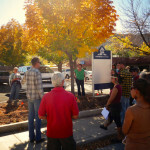 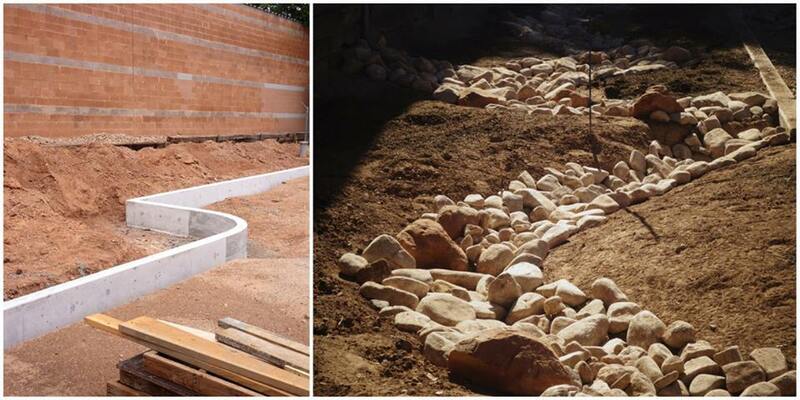 This project is a model for ecological design education and campus design demonstration. 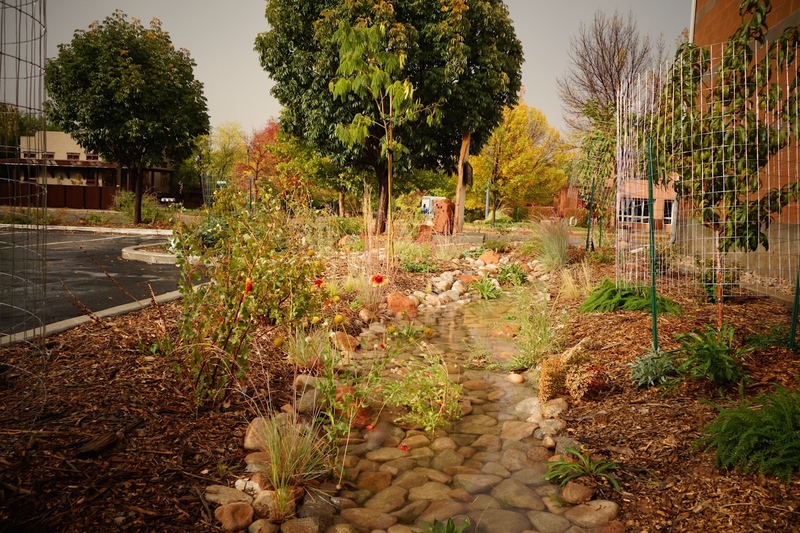 In 2014, Jason Gerhardt was hired to lead a university sponsored workshop in ecological storm water management, a community design charrette, and culminated with a redesign of the entire campus landscape. 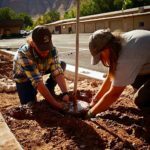 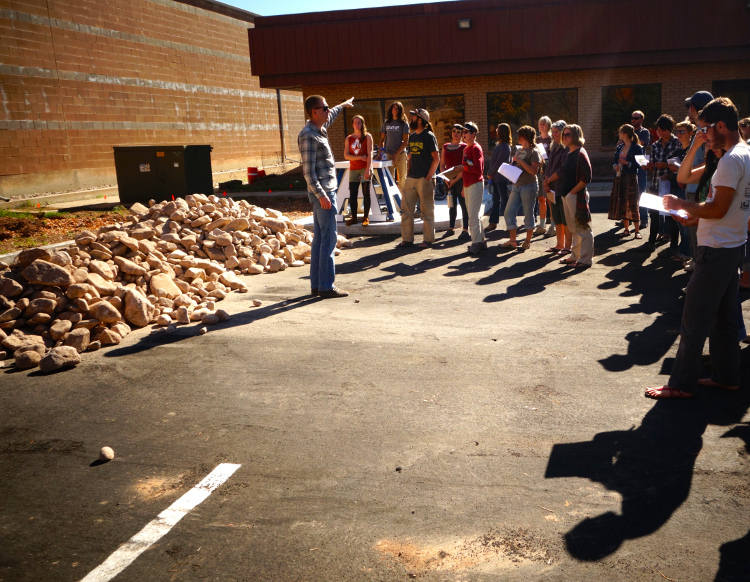 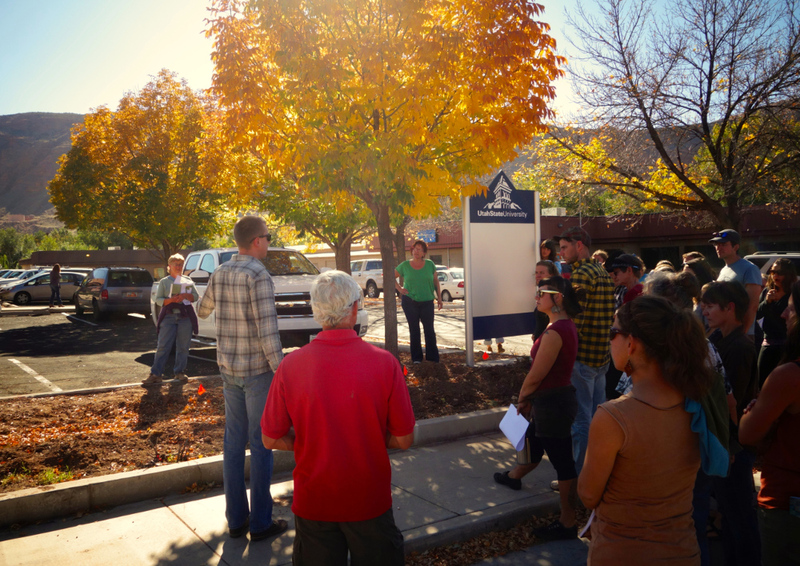 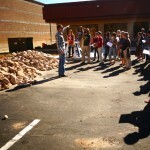 Moab Sun News wrote an article on the beginnings of the community design process, which was followed up with an article from Moab Times Independent on the design implementation. 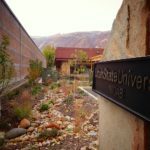 USU is also building a new campus to accommodate its growing student population for which Real Earth Design has been hired to work with EDA Architects on the design of the first phase of the campus master plan.